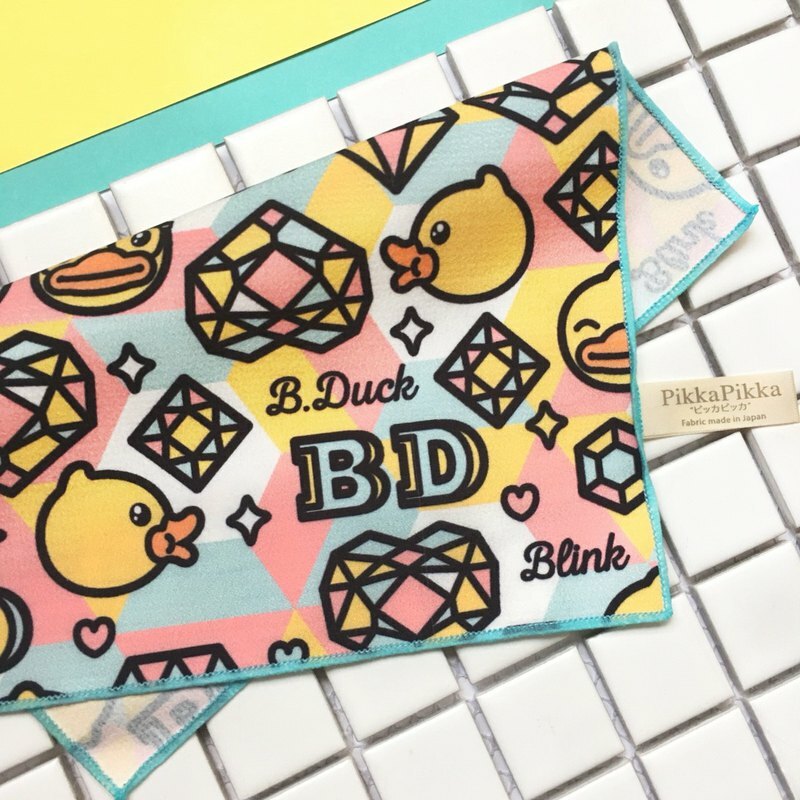 //**Pikka Pikka – world’s finest microfiber cleaning cloths from Japan**// ❤** A new Japanese trend among women and beauty-care community: microfiber face-washing cloth**❤ #1 **Sales in Japan for a Consecutive 15 Years**! <**Product Description**> -Pikka Pikka is exclusively authorized by Toray Industries, Inc. in Japan. -From Japanese media: it is the most suitable cloth for facial cleansing care. -The secret of Pikka Pikka skin care lies beneth the world's finest microfiber (diameter 2 microns, hair’s cross-section 1/1600) so it can easily absorb the dirt and grease from the surface -Easy to wash with and prevent acne -Recommended by a lot of famous major media in Japan, Taiwan and Hong Kong -Fabrics Made in Japan -Outside packing size: 15 x 15 CM -Cleaning cloth size: 19 x 19 CM -Fabrics: 100% Polyester <**Recommendation from major Media Report**> - Japanese media (Japan TBS TV, Japan TV live channel ..., etc.) - Internationally renowned media (VOGUE, La Vie, ELLE, Asia Joint TV, Apple Daily ...). - The designated fabric by international jewelry watch brands TAG Heuer, Tiffany & Co., CITIZEN, BMW, Leica ... etc.) - Recommendation from Asian female star ladies and popular models in Taiwan and HK. - Japan Photographic Association recommended. <**Functional Description**> - Generate a lot of foam which can remove acne, exfoliating, decomposition of oil molecules, can effectively protect the sweat pores and prevent acne. - Strong absorption: can be close contact with the dirt and continue to capture the dirt, the dirt will be absorbed into the gap in the fiber cloth. - Mild cleaning: after cosmetic surgery or sensitive skin are also applicable. Especially good for the planting eyelashes girls. - Cloth is soft and also can be used for baby. No oil and chemical composition. <**Instructions / Directions**> -Suitable for cleaning facial or body skin. -Recommended to change every three months. -No hair loss and no damage to the material. As the capacity of this fiber is less than oil (diameter of only 2 microns which is around hair section of the 1/1600), so oil is all absorbed into the fiber. -No chemical treatment so the cloth can be reused with the water. -When wiping clean, please be careful to avoid the sewing edge of the cloth. -Wipe the stubborn dirt; you can wipe the water after wiping. -When cleaning PikkaPikka with a cleanser, clean the detergent thoroughly and do not leave any residue. -When ironing, please follow the Japanese JIS regulations, to low temperature (80 C-120 C) for ironing. Also applies to lens, jewelry, CD, computer, mobile phone screen, crystal, glass products, musical instruments and so on.